Sight and Sounds Theater offers one of the most wonderful shows in Branson that brings the story of the Prince of Egypt. This show about Moses will let you learn the bible tale about the parting of the Red Sea, the burning bush, the plagues, and the inscription of the ten commandments. Watching Moses live at the Sight and Sounds Theater in Branson gives you the chance to travel back in time and relive the golden splendor and pride of ancient Egypt. The Moses Show at Sight and Sounds Theater in Branson will run from March 4, 2017 to October 20, 2017. By watching Moses, you will know that the Hebrew slaves experienced poverty and oppression that made Moses decide to bring them out of Egypt and cross the Red Sea. With the show, you will be completely immersed in the epic events of the story, and you will experience the humanity of Moses to Hebrew slaves as God raised him up to become their deliverer. The children of Israel have struggled for their faith, freedom and belonging. The incredible adventure of the Hebrew people in Egypt is like none other when God reveals that He has come to set them free. The show about the story of Moses is abundant with miracles all throughout their journey. The miraculous moments in the story have big payoffs. The ten plagues of Egypt get a visible demonstration, from the waters of the Nile river that turn to blood to the plague of boils, to the storm of flame and hail, and end with the Angel of Death passing over the Hebrew people to smite the Egyptians. The show garnered a good applause after Moses speaks to God at the burning bush. And while the parting of the Red Sea was indeed a spectacular sight, the real show-stopper was Moses’ staff being transformed into a snake. 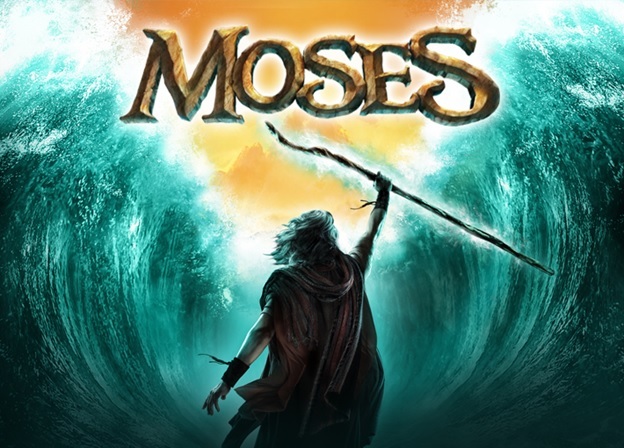 The ticket for Moses Show includes Behind the Scenes Tour where professional cast members are the guides for this interactive, close-up experience. Behind the Scenes Tour runs from April through December on select dates. The tour lasts 60 minutes, with the actors as your guide for this close-up look at how the shows at Sight Sound Theater are performed. With the Behind the Scenes Tour, you will learn about the set construction, lighting, sound, cast dressing rooms, animals or actors’ areas and more. During the tour, you will find million of lights, sixty-thousand watts of sound, and a stage over twenty-thousand square feet in size. While participating with the Behind the Scenes Tour, you will discover the technology and ingenuity that powers the dramatic complexity of the show presented in the theater. You can also have the chance to visit the nerve centers that control the lights, sound, stage, and even animals on cue. If you want to learn the epic adventure of the prince of Egypt, watch the Moses Show at the Sight & Sound Theater in Branson that will relive the golden splendor of ancient Egypt.